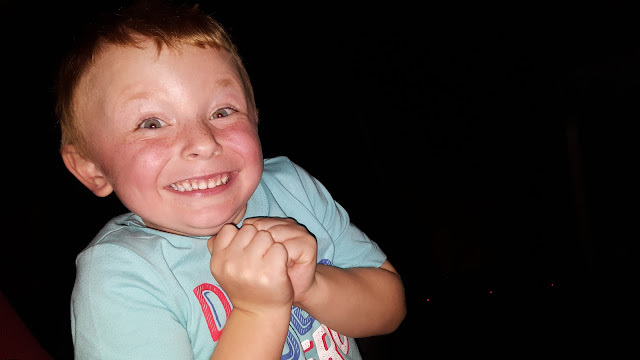 Elliot is a huge Minion's fan and I have lost count of how many times we have watched the films and all the extra clips that can be found on YouTube. I took him to watch Despicable Me 3 when it came out a few weeks ago and he was so excited, I'm surprised he didn't burst! There are two four piece cutlery sets available, both at £24.95 featuring 'Sea of Minions' and 'Expressions' collections. They are made from the finest stainless steel and have an amazing 15-year guarantee. The bone china Minions collection includes a mug, plate and bowl. These items are available separately, or as a two or three piece set with prices starting from £8.95. 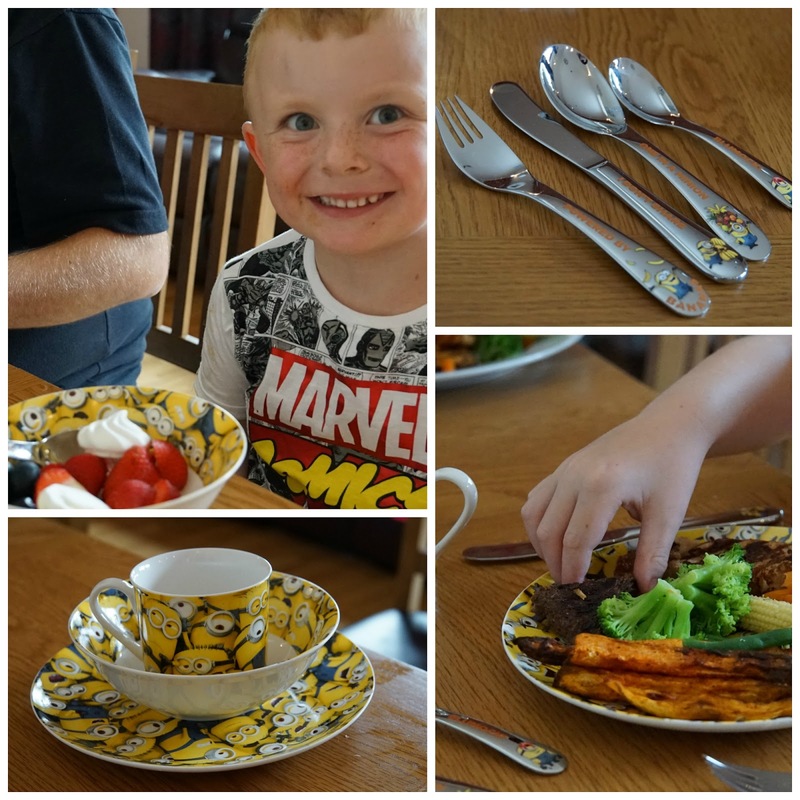 We were sent a three piece bone china set from the Sea of Minions collection and Expressions cutlery set to try out. My first impressions were how brilliant the quality was - even the presentation boxes were sturdy and thick! 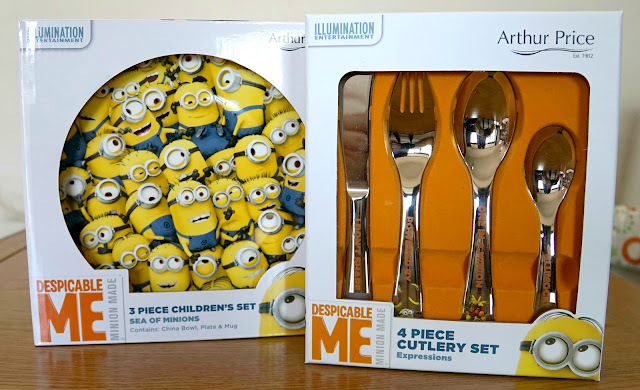 The cutlery features the words 'I don't share', 'Powered by Minions', 'One in a Minion' and 'Blumock' and they are all a perfect size for a child getting to grips with a knife and fork. They are heavier than I expected and a great quality. 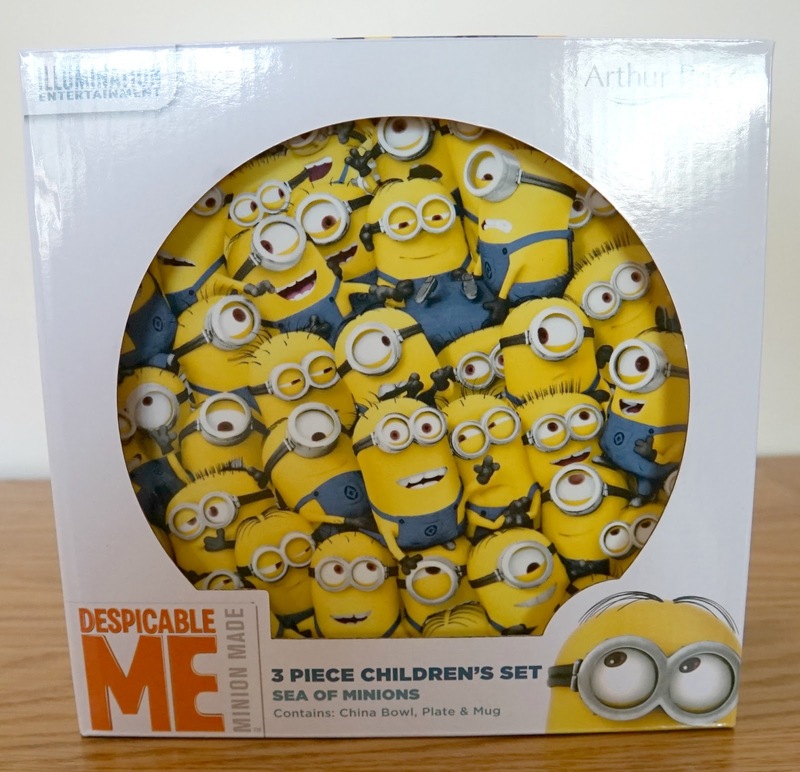 The 3 piece set is lovely and would please any Minions fan. The plate is a great size for a child and is a perfect step up for a little one who has outgrown the plastic toddler plates but not quite ready for an adult sized plate. 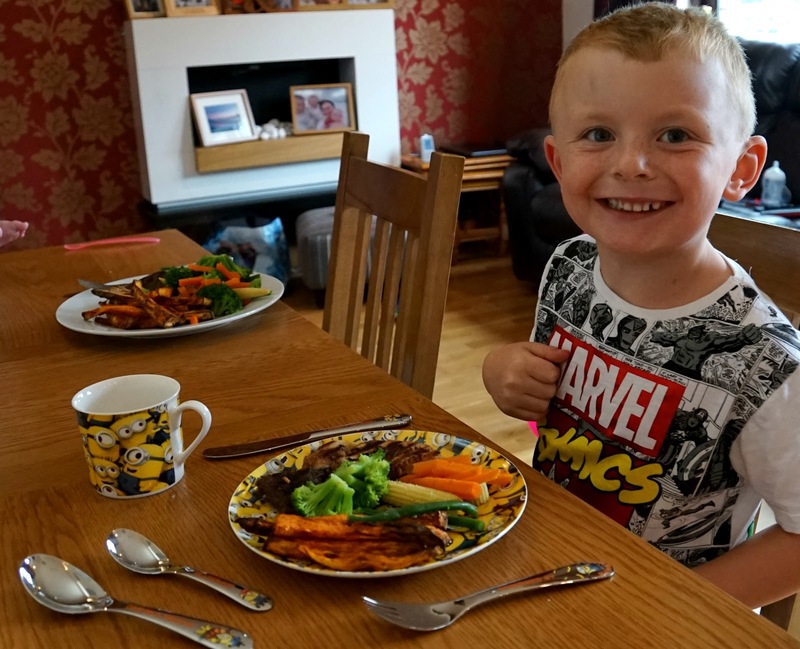 It might also have been a coincidence but Elliot was extra keen to eat his dinner when he saw that it was on a Minions plate! The entire set is dishwasher safe however I have found the writing has slightly faded on our cutlery. It might be a good idea to handwash these to keep them in pristine condition! I hadn't heard of Arthur Price prior to this review but I've since found out that they are a family owned business who have supplied royal families and heads of state - pretty impressive. As well as the fab Minions range, they do some lovely 'grown up' items so the website is definitely worth a look. I am giving the Arthur Price Minions range a big thumbs up - amazing quality items which little ones (and big ones) will love using! 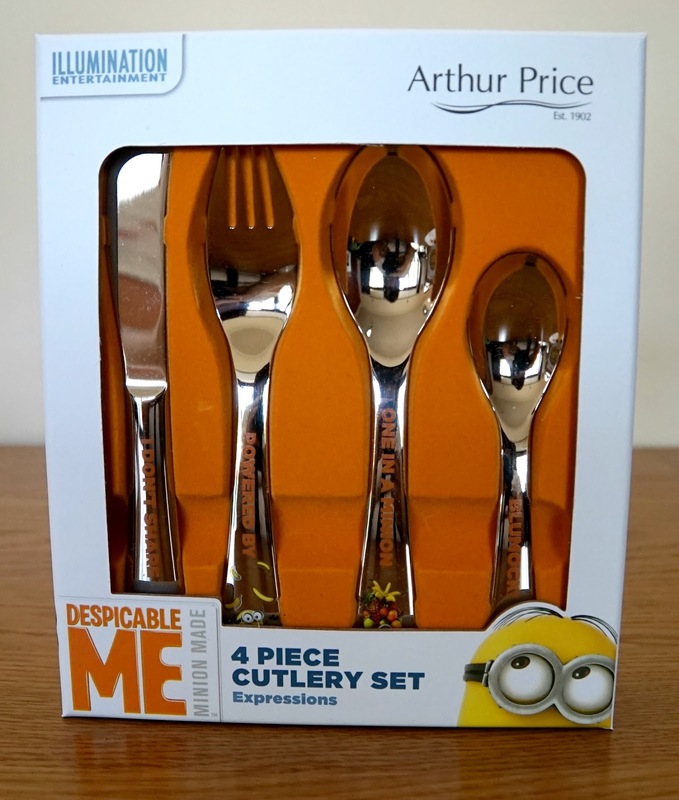 This crockery and cutlery set are no less than a wonderful treat for the fans of despicable me. After all who doesnt like minions! I would also love to eat food through despicable me cutlery!